Long-time NFB friend and Quebec documentary film champion Magnus Isacsson has died. An accomplished filmmaker and tireless advocate of social justice, Magnus dedicated himself to exploring vital social and political issues through documentary films, working both independently and with the NFB. He was also a university educator and a pioneer in community media, teaching audiovisual production in Zimbabwe and South Africa on behalf of Vidéo Tiers Monde. A former co-chair of the Documentary Organization of Canada (DOC) and vice-president of the Observatoire du documentaire, Magnus received the 2004 Prix Lumières from the Quebec directors’ association (ARRQ), which also named him as a member Emeritus earlier this year. Dedicated and prolific, Magnus continued to work throughout his illness. 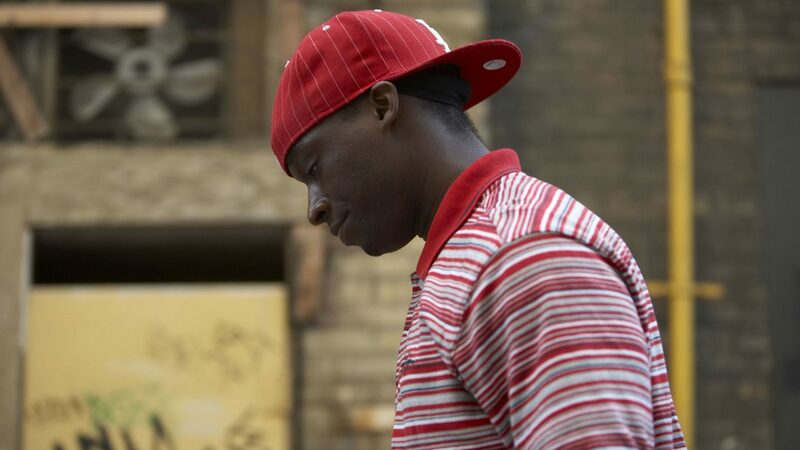 Through great effort and dedication, Magnus was successful in completing his film Ma vie réelle about troubled youths in Montreal North, prior to his death. Produced by Jeannine Gagné for Amazone Film, Ma vie réelle will premiere this coming fall. His latest film Granny Power, about an activist movement led by female senior citizens and produced by Magnus’ wife and frequent collaborator Jocelyne Clarke, is still in production. 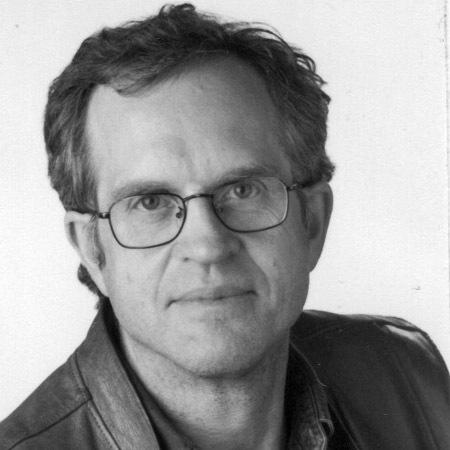 Over his 22-year career as a documentary film director, Magnus collaborated with the NFB on such acclaimed works as Uranium (1990), exploring the consequences of uranium mining in Canada (winner of a Golden Sheaf Award for Best Documentary); Power (Cineflix/NFB, 1996), documenting the 5-year campaign by James Bay Cree against the Great Whale hydro megaproject (named best documentary at the Paris International Environmental Film Festival, and winner of the Grand Prize at the Lausanne festival in 1999); as well as View from the Summit (Les Productions Érézi/NFB, 2002), a multi-faceted look at the 2001 Summit of the Americas in Quebec City. His most recent NFB work was The Battle of Rabaska: Chronicle of an Environmental Conflict, co-directed with long-time friend Martin Duckworth, documenting a campaign by citizen activists against a methane tanker terminal in their community. He will be fondly remembered and greatly missed. A few weeks ago we had the pleasure of spending time with Magnus Isacsson in his home. Though he felt discomfort and was very weak, Magnus wanted nothing more than to talk about documentary, share news about his projects, and ask questions about our own cinematic pursuits. His eyes lit up when he spoke about his art and how much he was learning from following characters over long periods – characters struggling with personal issues and social barriers. He seemed especially proud of his most recent film, Ma vie réelle (produced by Jeannine Gagné, shot by his long-time friend and accomplice Martin Duckworth, assisted by Franck Le Coroller, and edited by Annie Jean) about troubled young men in Montreal-North. He shared experiences about making the documentary – the many twists and turns that eventually led to finding the powerful and surprising characters that he filmed right up to the last days of editing. Though faced with his own life threatening illness, Magnus talked with great compassion about the hardships his characters had to endure. Admirers of Magnus’s work speak of his absolute lack of cynicism and unflinching belief in the power of documentary. We can only confirm this. Magnus sounded as excited about socially engaged cinema as a first time filmmaker! He showed no sign of self-pity or anger over his predicament – of life being cut short before reaching the age of 65. Instead, he showed us the demo for his next film, a documentary about the victims of pedophilic priests in Quebec. We were very moved by the suffering and the courage of the victims to whom he was giving a voice, and we shared his deep outrage at what they had endured as children. That afternoon it felt as if Magnus would somehow find a way to complete this stirring and necessary documentary. Magnus also talked about the invaluable role his wife Jocelyne Clarke played, as a loving partner and collaborator. She knew almost as much as the doctors about his cancer, having researched his illness in depth and following up numerous leads for treatment. Jocelyne came in to sit with us for a while, between preparing dinner for their young daughter Béthièle and squeezing in hours of paid work. She seemed almost as thin and worn out as Magnus. Yet her sparkling eyes and almost contagious joyful attitude, revealed a deep inner strength that profoundly impressed us. People who knew Magnus also know how Jocelyne, besides making her own films and working as a festival programmer, film analyst and teacher, also worked closely with Magnus on several of his projects – as producer, researcher and editor. We left feeling fortunate to know such a committed, generous and talented couple who, through example, set high standards for what documentary filmmaking should be about. Along with the many friends who have benefited from Magnus’s and Jocelyne’s friendship, mentoring and generosity, we hope Jocelyne will let us know how we in the documentary community can find ways to give back. I had only occasional contact with Magnus over the years. But when our paths did cross I was always impressed by his passion for his projects and the values enshrined in his work. He was a consummate professional and a true gentleman. Our industry does not need to lose people like Magnus. I am greatly saden by Mr. Magnus Isacsson passing, I did not know the man, but I had lived in Sweden for five years, and learned something about their social values. These values are deeply ingrained in the people from an early age. When I read about his passing in the Montréal Gazette it really struck a nerve at how fragile life really is. I posted an e-mail to Sweden, to family members, and friends, to notify the Swedish people of this terrible loss. Someone now must pick up his torch, his camera lense, his voice on social issues, and march forward in the interest of social justice for all. The camera in the hands of a gifted professional, can tell a story, with or without words. What a contribution Mr. Magnus Isacsson has made to Quebec, and to the people of Canada. His life’s work is an example of what immigrants bring to Canada, to help build, and make this country what it is. Mr. Magnus Isacsson, your Viking Ship has carried you home! On behalf of the Victoria Raging Grannies, the originals,who were the focus of Magnus’s film-in-the-making, Granny Power, we offer deep sympathies to his family and sincere wishes that his posthumous film finds the distributor it deserves. We are shocked and very sad, that Magnus Isacsson passed away. Last year we screened his film excellent film “Uranium” during our first International Uranium Film Festival of Rio de Janeiro. And he published an interview about us. “Uranium” is a mile stone in uranium and nuclear filmmaking. We will screen Isaccsson’s film again during our traveling Uranium Film Festival next October in Berlin. Marcia Gomes de Oliveira & Norbert G. Suchanek, Directors of Uranium Film Festival, http://www.uraniumfilmfestival.org. This is unbelievable. I visited Magnus and his family in 2009 in Montreal. I met Magnus when he came to Saskatchewan to research URANIUM, and accompanied him and two other prominent Canadian artists to the north to meet the people and document the impact of the nuclear industry on the Dene and Cree of Northern Saskatchewan. This is a terrible loss to the country, and to the movement for social justice and equality in Canada. My heart goes out to his loving family, and all his friends and colleagues. I am in shock. Mr. Isacsson was a role model for young aspiring documentary filmmakers like me. May he rest in peace.